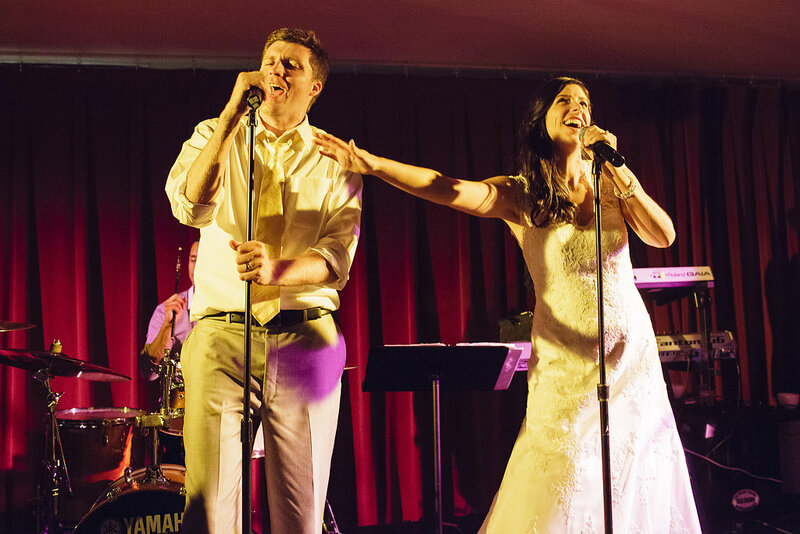 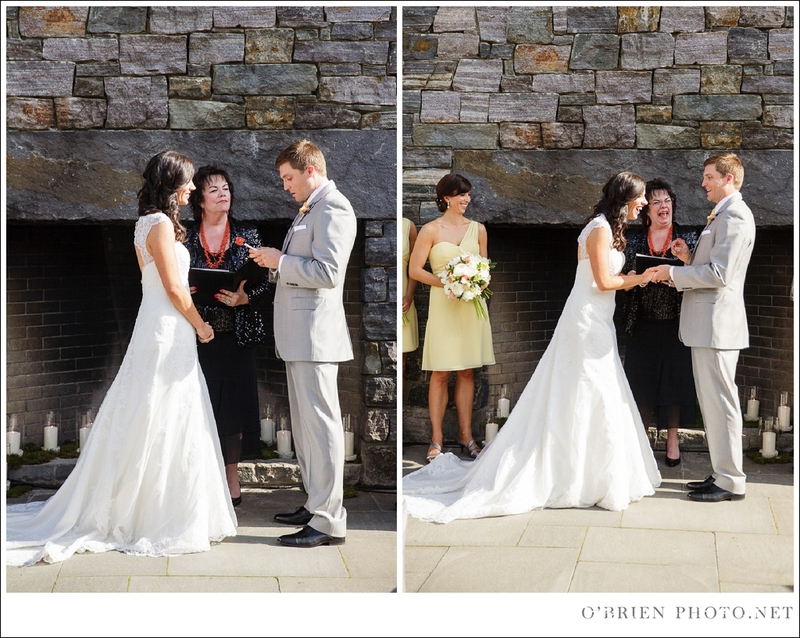 The hills are alive with the sound of… wedding vows! 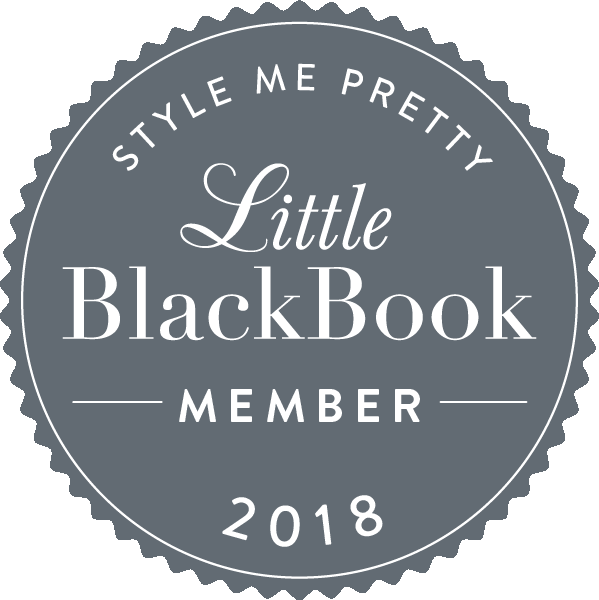 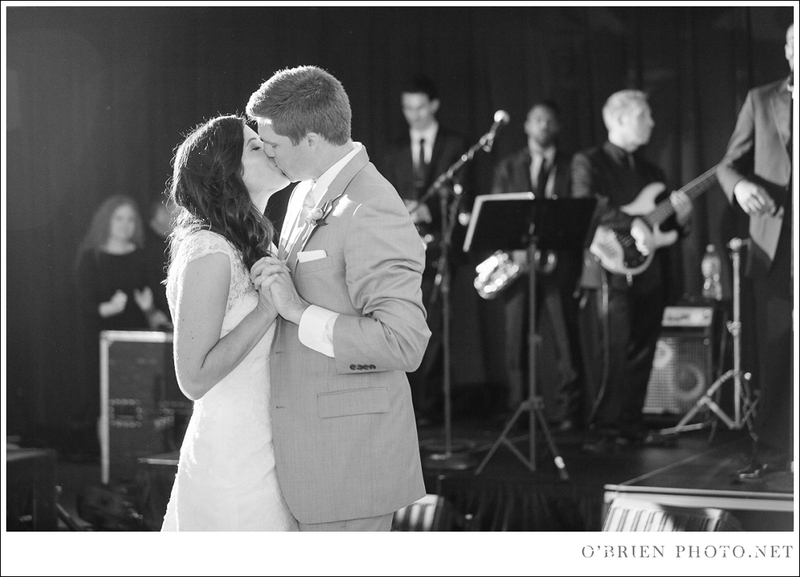 So often we feature gorgeous weddings from chic city and laid back beach venues here on the Wilson Stevens blog. 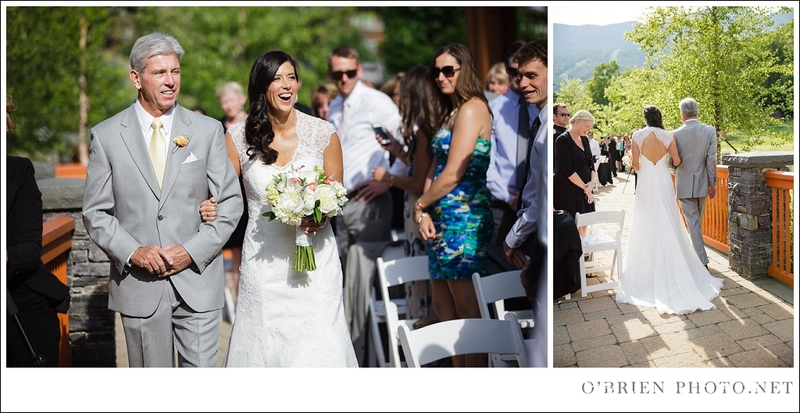 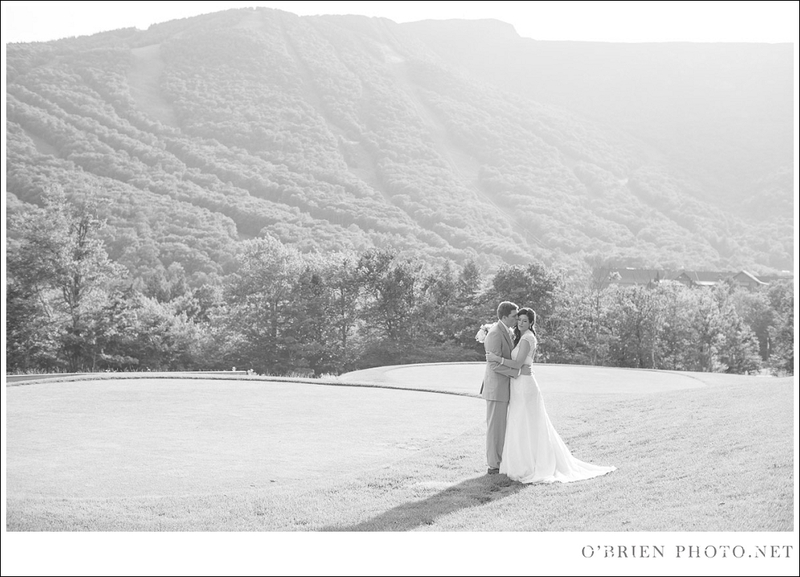 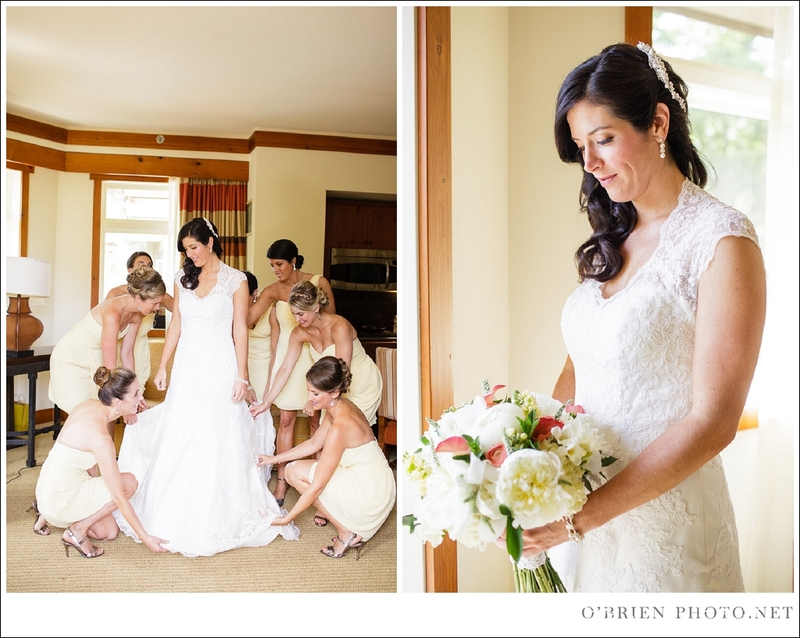 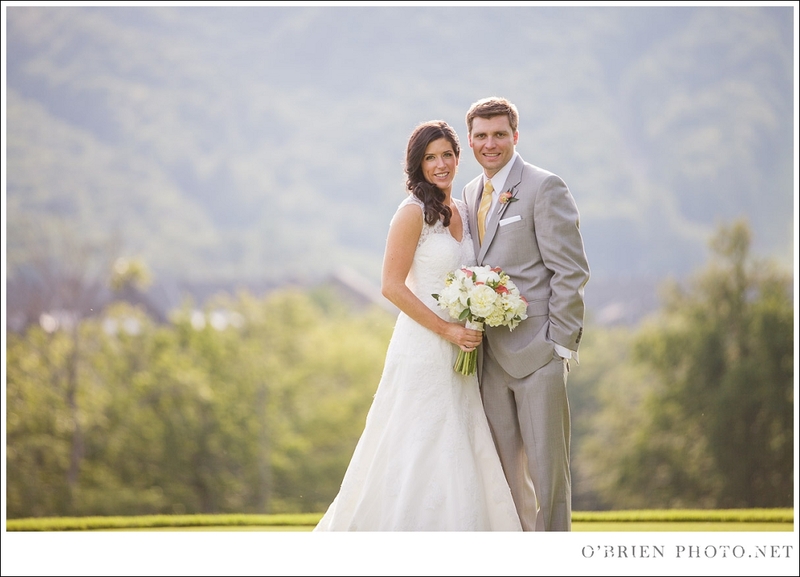 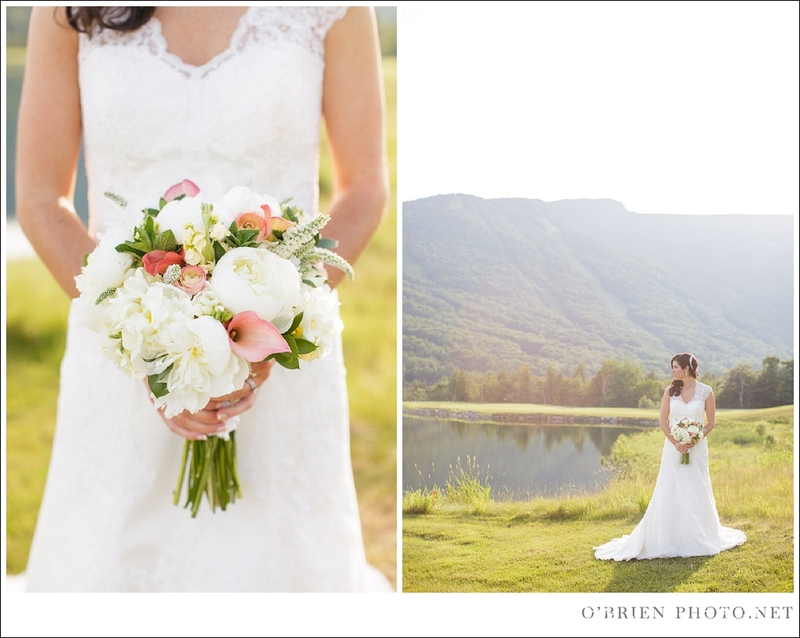 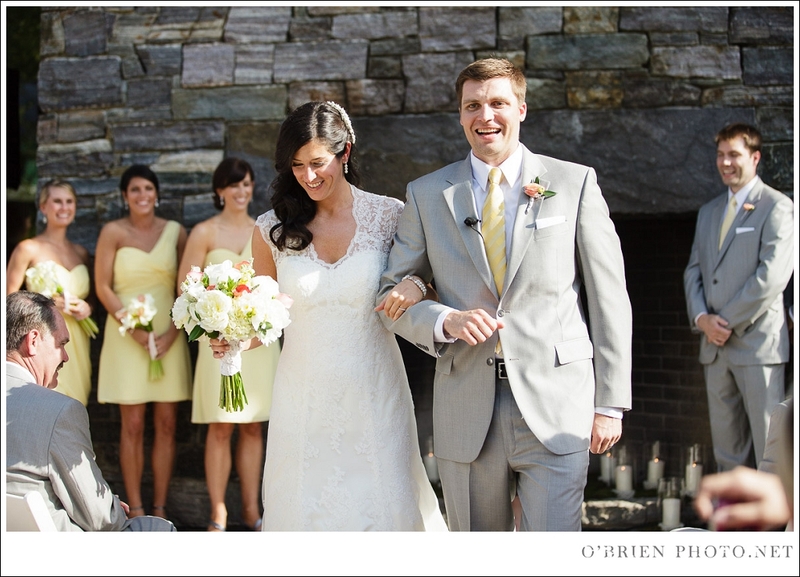 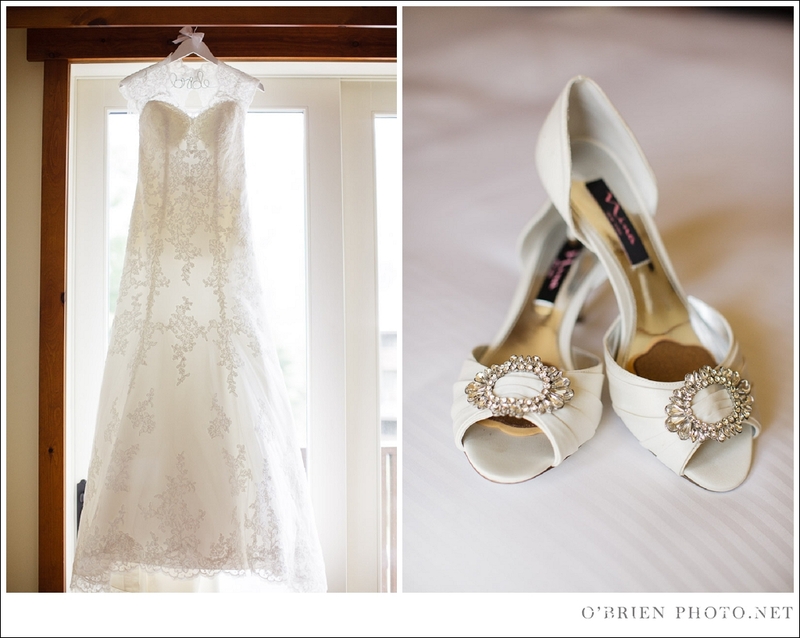 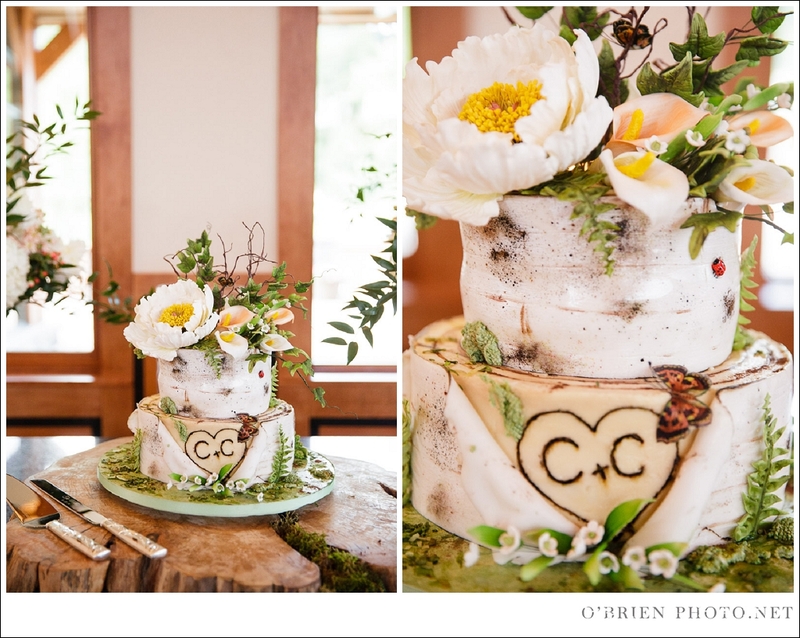 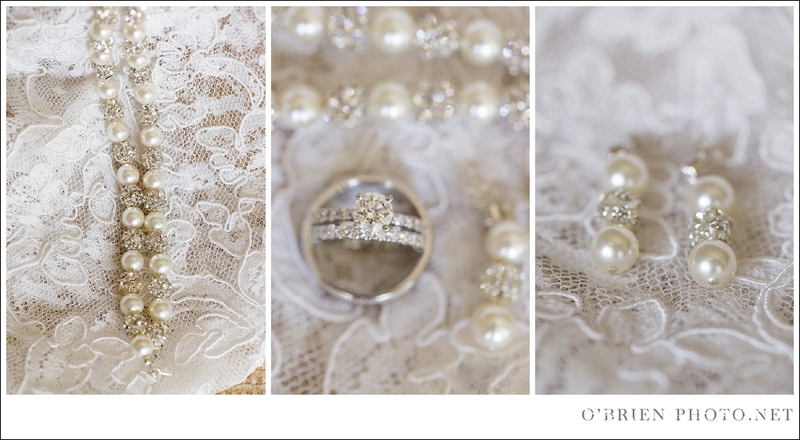 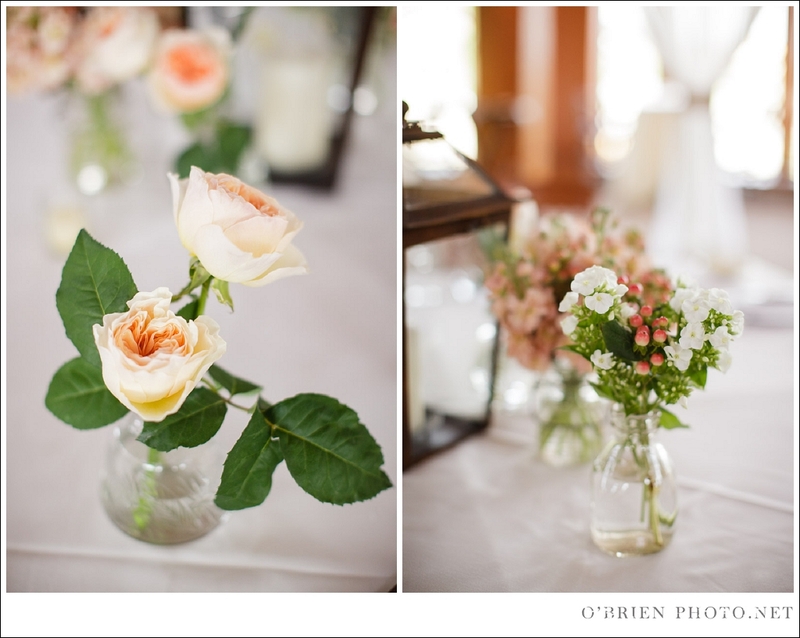 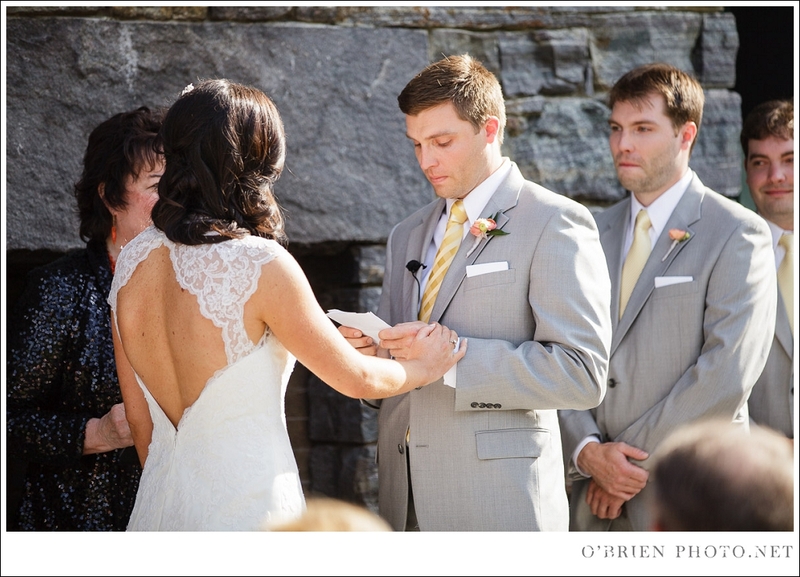 But it’s such a treat to showcase Cait and Chris’ wedding that took place at the foot of Stowe Mountain in Vermont. 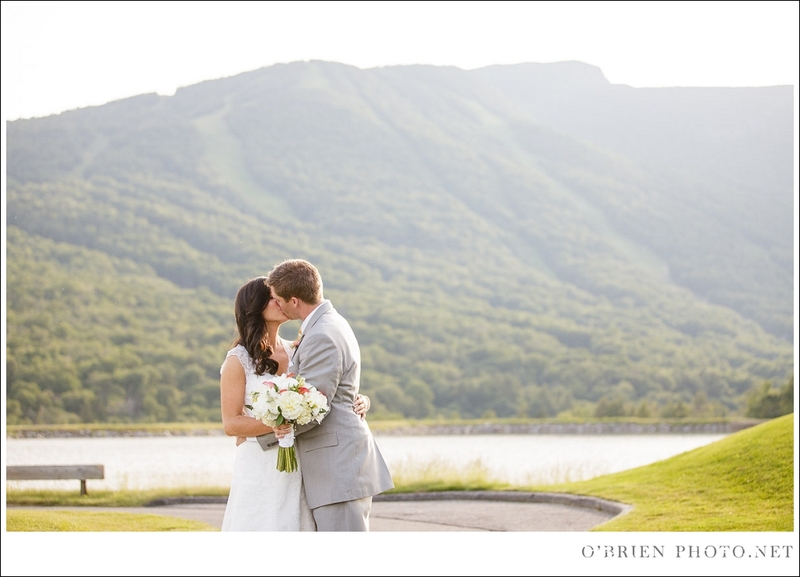 Such a striking landscape deserves an equally epic band. 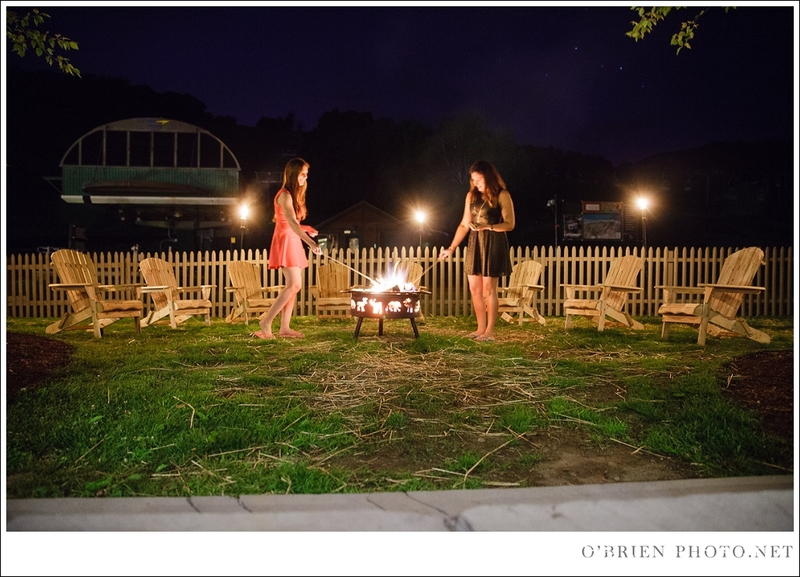 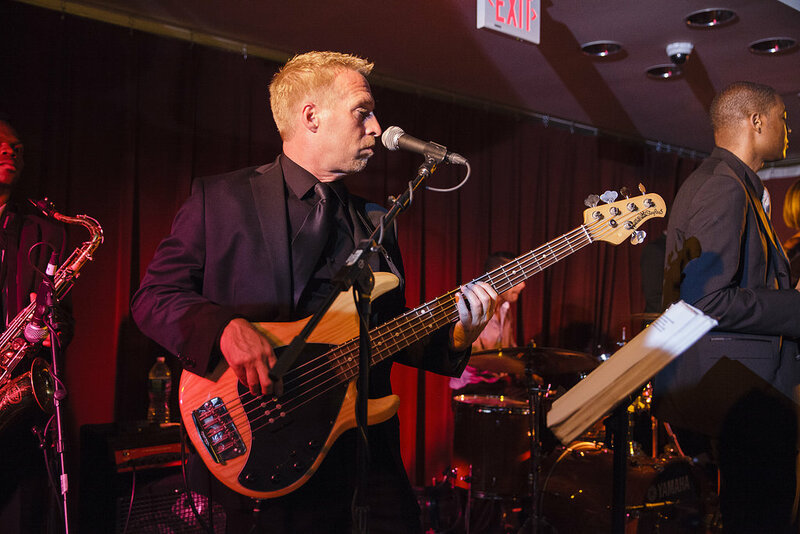 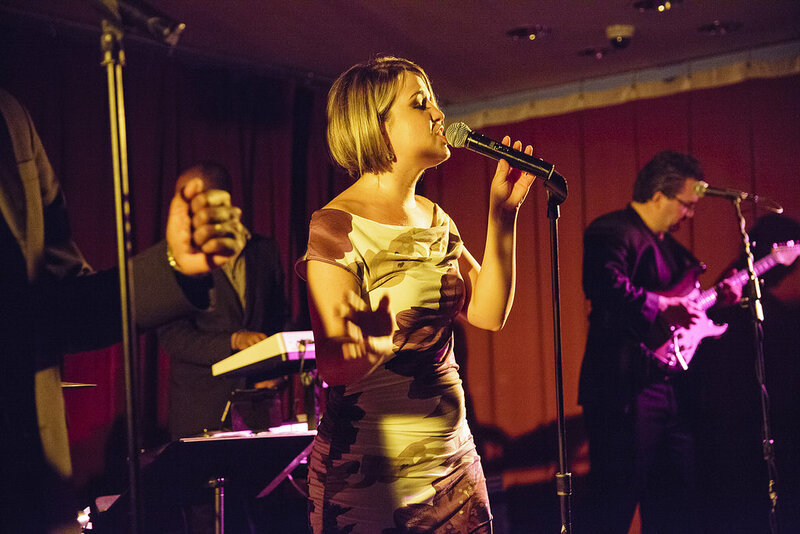 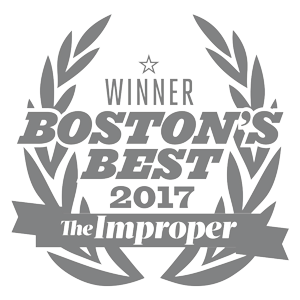 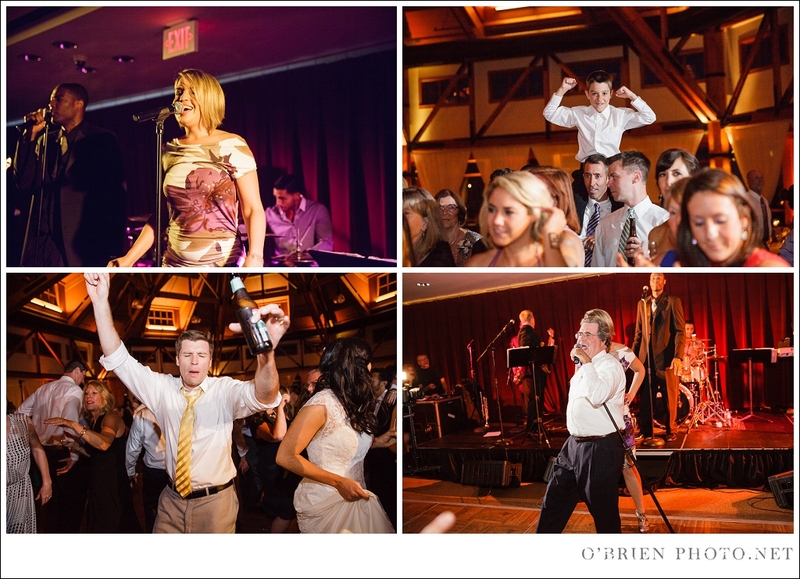 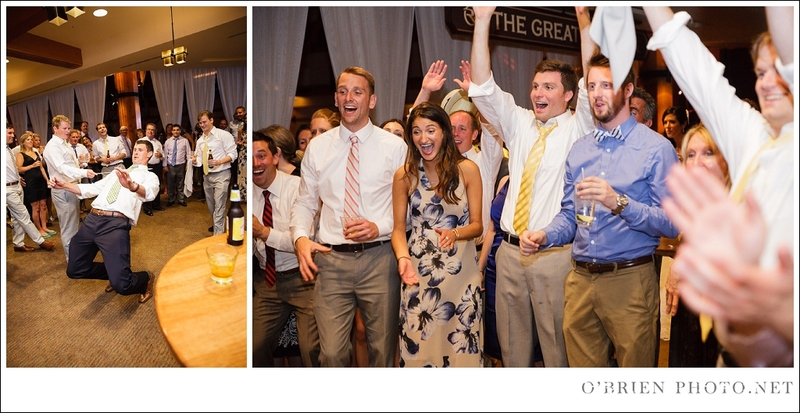 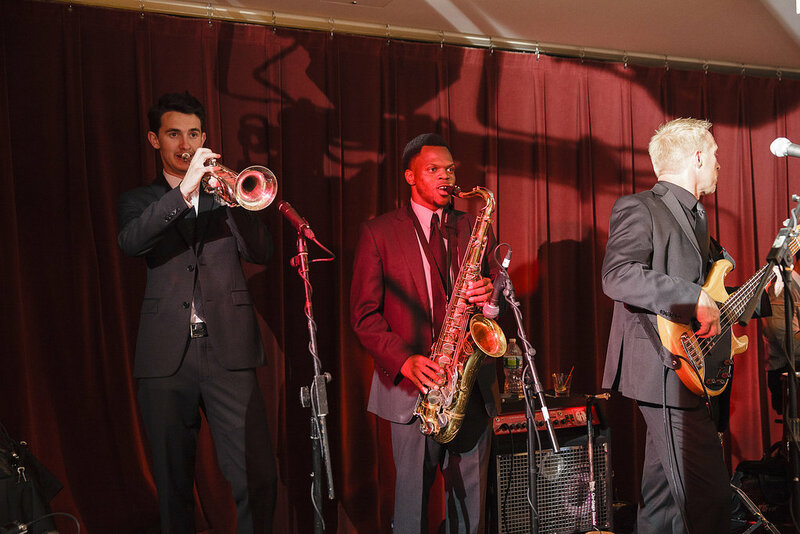 Good thing Radiance was on hand to provide entertainment, and O’Brien Photo captured it all! 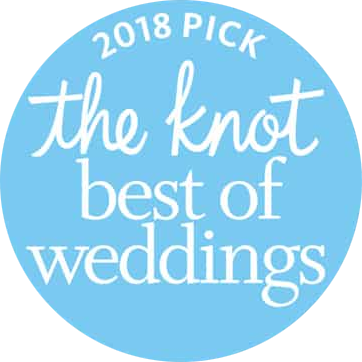 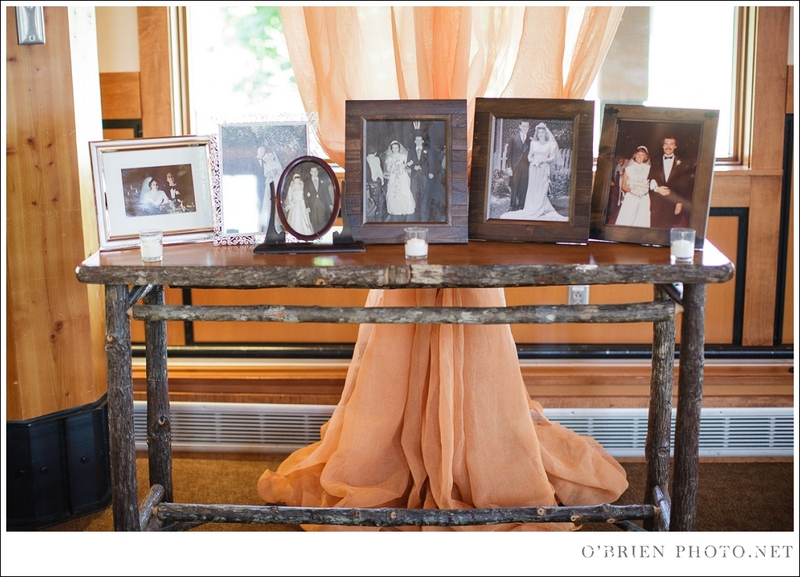 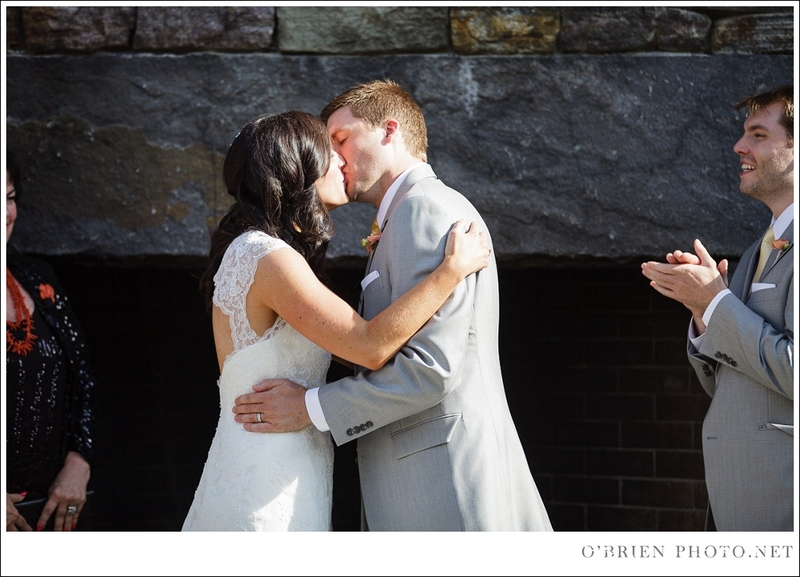 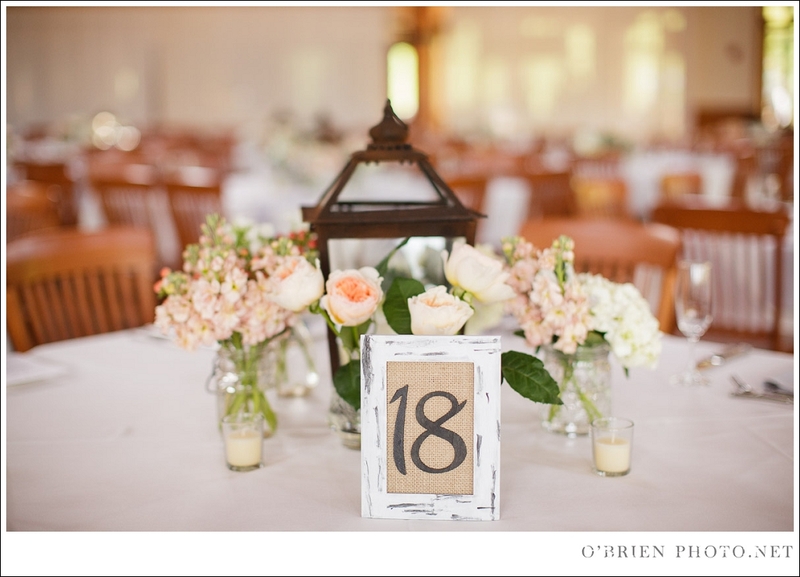 After Chris and Cait exchanged vows in front of a sweeping stone hearth, O’Brien Photo toured the grounds with the couple for some truly stunning wedding party photos. 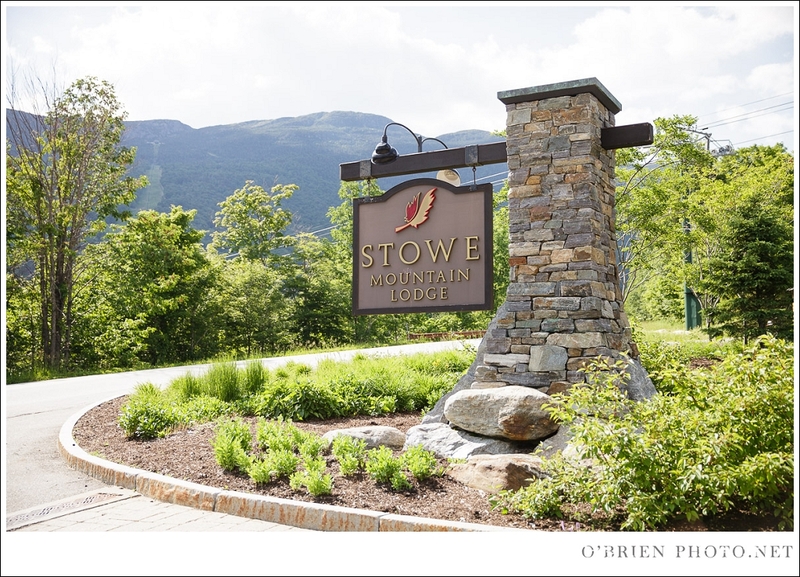 Inside the Stowe Mountain Lodge, neutral linens and floral arrangements allowed the gorgeous wood architecture to take center stage. 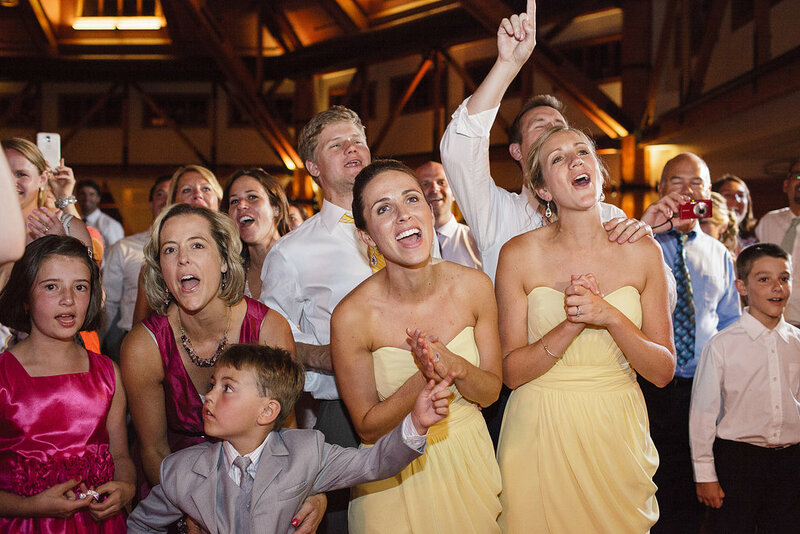 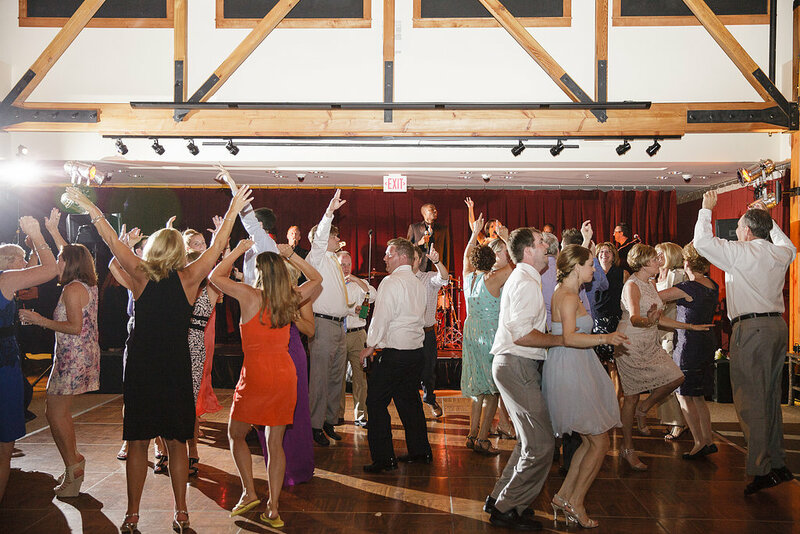 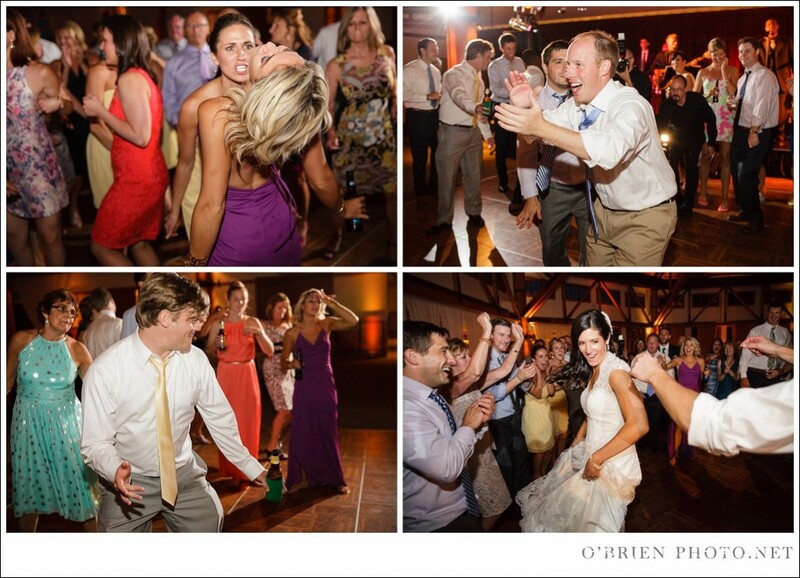 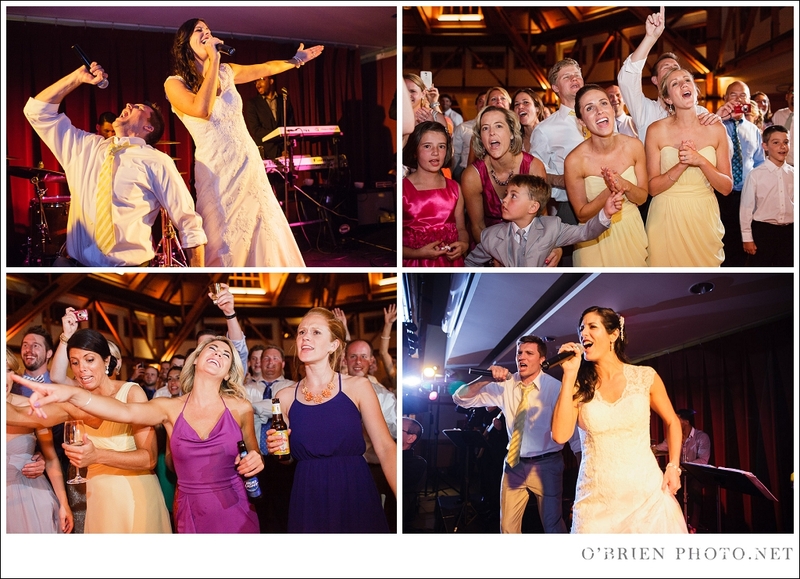 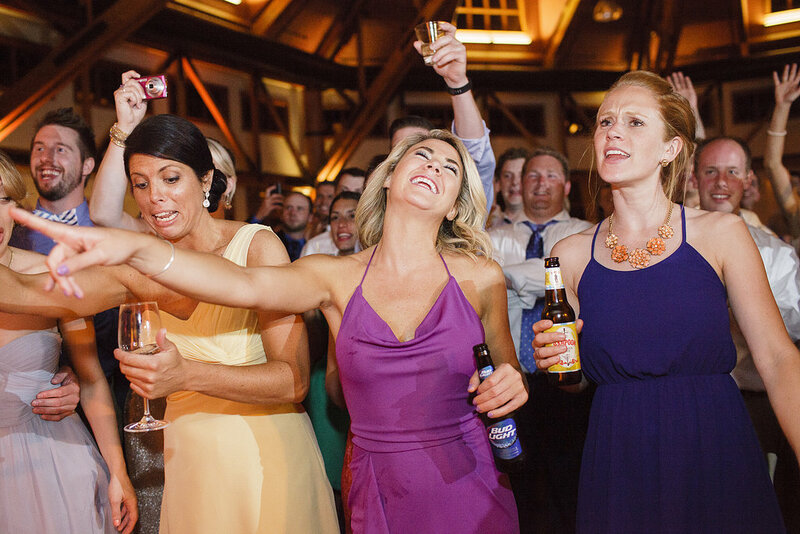 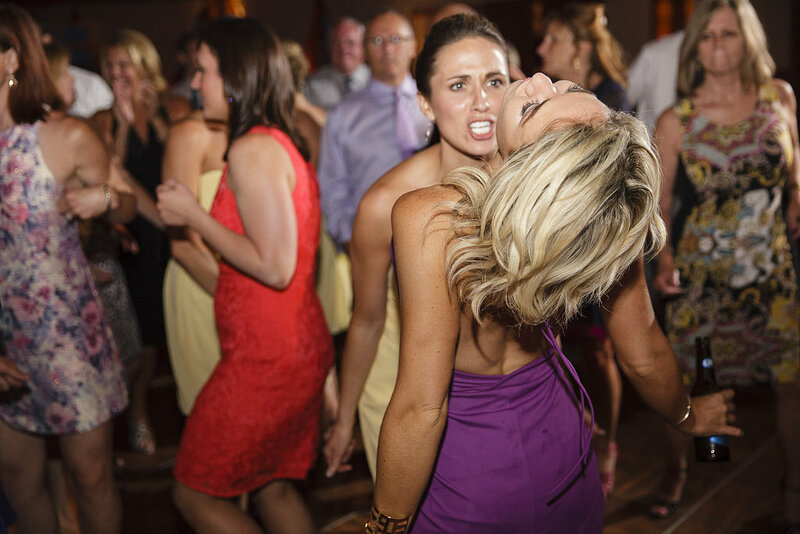 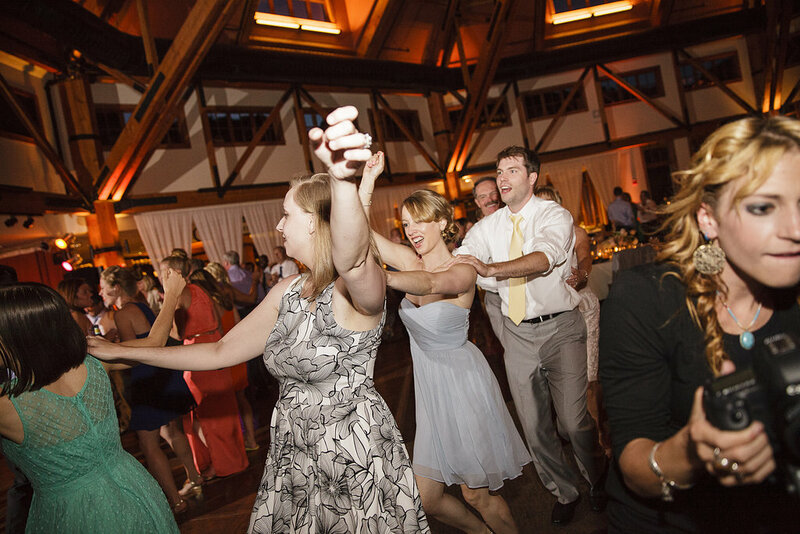 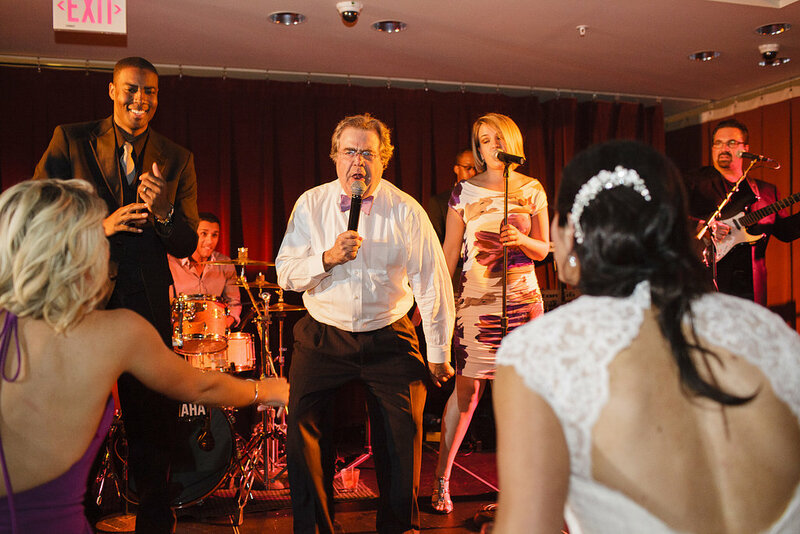 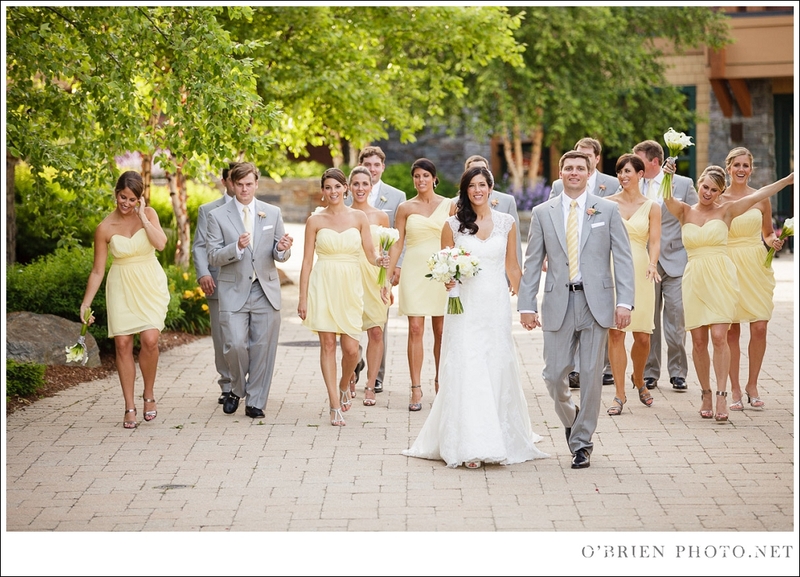 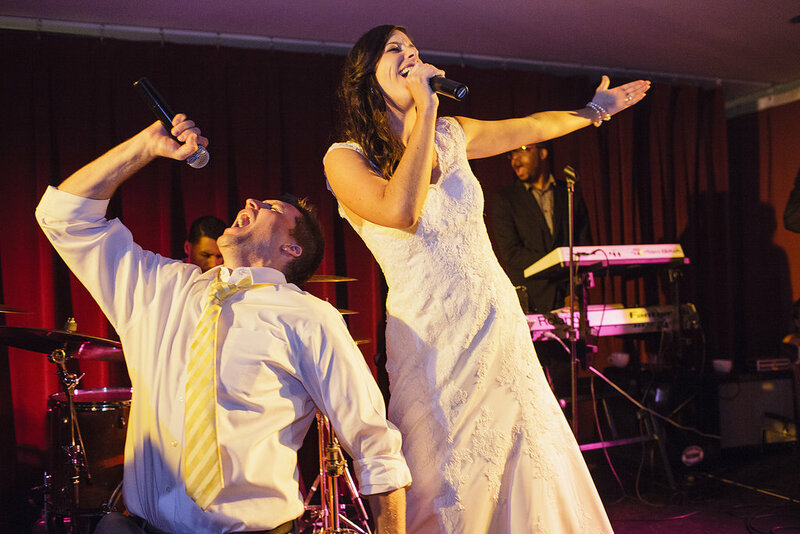 Focus quickly shifted to the bride and groom when they joined Radiance for an over-the-top dance party! 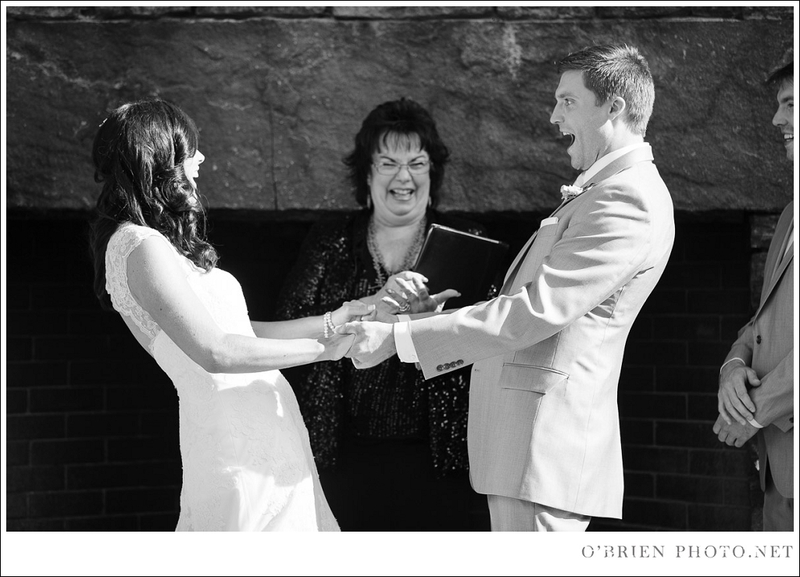 Congratulations to this joyful couple!